November 30, 2018 | By Amy Occhipinti, M.S. Are you looking to bring your passion for health to the next level, but are struggling with where to begin? Maybe you want to help people eat healthier and get more exercise, but you’re struggling with what steps to take to learn how to do so professionally. If this sounds like you, you’re an excellent candidate to become a certified health & wellness coach. But what is a health & wellness coach, and what can (and can’t!) you do as one? This article will dive into the details. Why Should You Consider Becoming a Health & Wellness Coach? According to the CDC, just 20% of Americans are satisfied with their lives and feel like they have a clear sense of purpose. The rest of Americans are struggling to meet their goals. This leads to chronic stress and burnout, as well as a host of health problems like a higher risk of developing lifestyle diseases like diabetes and obesity. Compounding these problems, a lack of overall satisfaction can leave you feeling both physically and mentally depleted, which makes it that much harder to take steps towards improvement. Seeing these health struggles, what can you do to help others reach their full health potential? Doctors and nurses don’t receive coach training in their education and other experts like dieticians or personal trainers only concentrate on one aspect of your health, potentially missing the big picture of complicating factors in the process. To give the guidance to others that they need to improve their health, it might be time to consider becoming certified as a health & wellness coach. But first, let's talk through the details of what this means. Wellness coaching as a field has roots in psychology, behavioral change theory, and life coaching, as well as the overall healthcare industry. In other words, it strives to bridge the gap between traditional healthcare options and behavioral changes. This means that certified health and wellness coaches are professionals who can work in both individual and group settings to facilitate conversations and empower their clients to set and achieve goals they set together. The overall goal of these consultations is for the coach to help provide clearly defined goals and guidance to their client so that they can use it to mobilize their inner resolve for permanent, positive change. These coaches act as allies and advocates for their clients to help them improve various aspects of their lifestyle, such as their diet, fitness routine, and sleep level. Contrary to other health fields, wellness coaches usually refrain from acting as “the expert” for how their client should live. Instead, the client remains in control of determining what changes they want to make. A wellness coach will help their clients identify and reflect on self-defeating behavioral patterns, but it’s ultimately their choice to put the coach’s suggestions into practice to create lasting behavioral changes. In this way, a primary benefit of working with a wellness coach is gaining confidence in one’s capacity to achieve set goals. When you work as a wellness coach, you offer your clients measurable health benefits. Research shows an overall positive impact in behavior for people who work with wellness coaches to combat lifestyle problems, and the changes in behavior far outlast the time they spend in coaching. The emotional support that you can provide as wellness coach gives your clients a better chance of success than if they were acting on health information alone. For instance, being told by your doctor to quit smoking can seem overwhelming, but as a wellness coach, you can counsel them through the process (including the inevitable guilt and discouragement) to keep them motivated to succeed. This provides advantages beyond your client’s welfare. 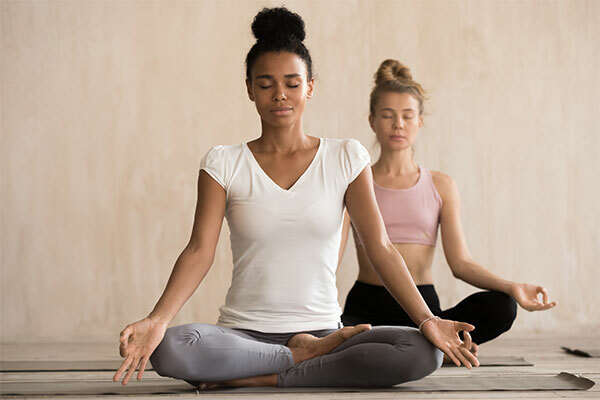 Companies benefit when their employees undergo wellness coaching, as it can lead to less absenteeism and greater workplace productivity, as well as a reduction in healthcare costs. Would you find it rewarding to help others as a wellness coach? Ask yourself the following questions to determine whether a health & wellness coach certification is the right career move for your life. If you fit within these categories, then it’s time to consider becoming certified as a wellness coach. What exactly can you accomplish as a coach? Let’s look closer at what they can (and can’t) do. Health coaching is perfect for facilitating discussions that pertain to five primary topics: fitness, nutrition, weight loss, stress management, and general health. As a health and wellness coach, you will view your client’s health from a holistic perspective and help them to address the separate components of their lives that are preventing them from thriving physically, mentally, and spiritually, while giving them the tools to improve. It’s helpful to think of working as a certified wellness coach as becoming an accountability partner for your clients. You’re there to give them inspiration and guidance when they begin, and you will support them when they feel like giving up. When someone has a wellness coach at their side, setbacks are temporary, not permanent. That being said, health and wellness coaching shouldn’t be confused with the kind of work that’s performed by specialists like nutritionists or personal trainers. While you should know the nuances of these topics well, you aren’t legally qualified to give your clients professional nutritional or fitness advice without further certification. This means that you can’t provide specific dietary or exercises instructions, but instead can offer guidance to help your clients make choices that suit their desired lifestyle. In other words, working as a wellness coach doesn’t make you certified to help a client shave a minute off their mile time or provide therapy for dealing with childhood trauma. Instead, this certification will help you teach your client to look towards the future to develop his or her overall strengths and abilities. What does it look like to work as a wellness coach? Generally speaking, the first (often complimentary) meeting with a client will range from fifteen minutes to an hour. During this time, the two of you will discuss what goals your client wants to accomplish and work together to define the challenges that stand in their way. Next, you will guide your client through the process of developing an outline of the necessary steps for achieving these goals. While every wellness coach operates differently, there is a good chance that you will ask your client to complete “homework” between sessions to show you the ways that they are making progress towards the goals you’ve set together. This often involves the client keeping a journal that you can review before meetings. Most people work with a wellness coach for several months at a time, and you are responsible for holding your client accountable for making progress during this time. Costs per session vary considerably and depend on where you live, who you’re working with, and the issues that you’re helping your clients work through. As the client progresses through sessions, you will strive to keep him or her motivated by acknowledging that progress takes time and consistently pointing out the steps they’ve made in the right direction. As a wellness coach, you will work with them by building feelings of empowerment and positive affirmations of their abilities, rather than laying on guilt trips. Glassdoor reports that the average salary for wellness coaches in the United States is just under $40,000. Add in other skillsets and certifications, and your monetary value will skyrocket. Knowing this, what are the first steps you should take to become a wellness coach? If you are interested in becoming a certified health & wellness coach, AFPA offers numerous resources to walk you through the beginning steps, from providing information about what you can do as a health coach, the necessary steps to follow for becoming certified, and what you should look for in an online certification course. AFPA is also recognized as a member of the Association of Coach Training Organizations (ACTO), and our certification meets the American Association of Drugless Practitioners (AADP) requirements. For those with any curiosity about whether this exciting health field is right for them, we recommend signing up for a health coach certification course today. You’ll be amazed with what you learn about the ways to guide others toward improving their health for good.